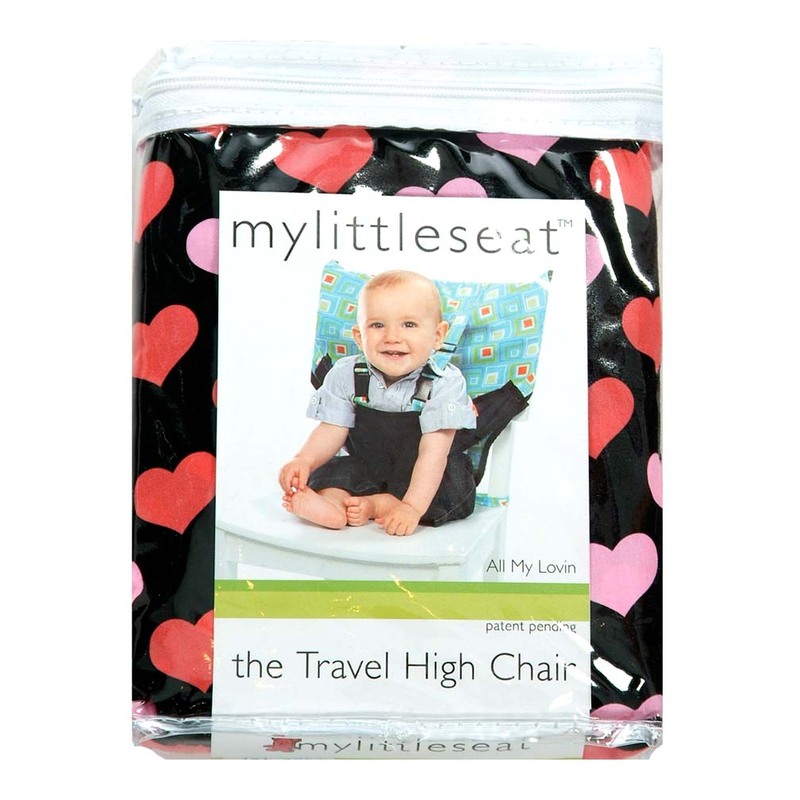 My Little Seat is the ultimate infant high chair for traveling with baby in tow. Whether you are using it every day at home, out for lunch with friends or jet setting around the world this super cute and always trendy seat will make your life so much easier and always get you noticed. 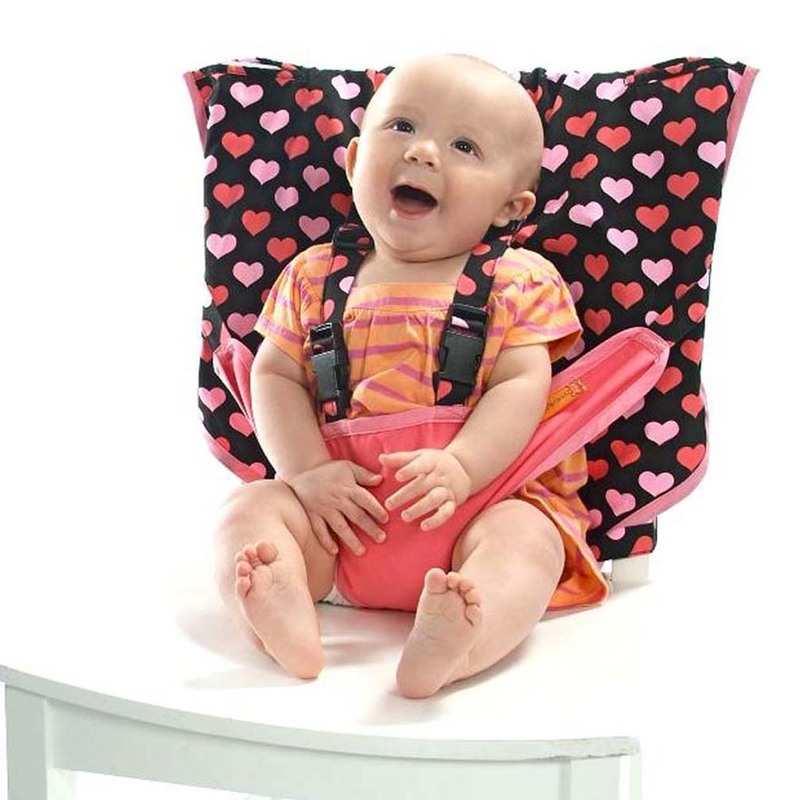 It folds down to the size of a diaper and comes with its very own matching bag. My Little Seat is designed with safety in mind and incorporates a 5 point harness along with its extra reinforced seaming and is safety tested for strength and durability. Your baby will love sitting along with you at the table like everyone else. Sling it over a chair and it sets up in seconds and of course is machine washable. 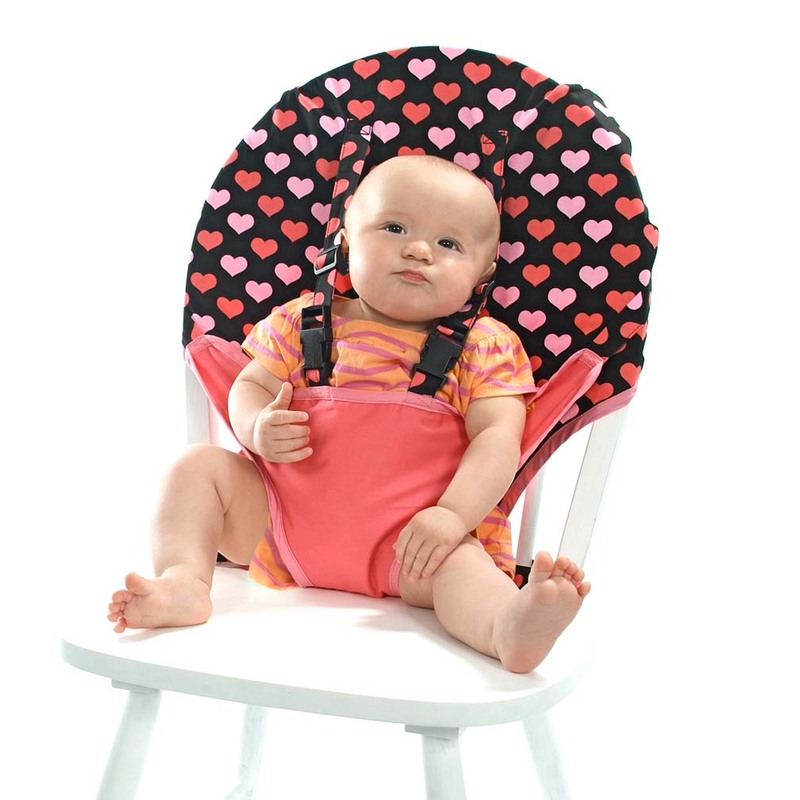 It is suitable from 6 months and above or when your baby can sit unassisted. Everyone gets a seat at the table with My Little Seat. 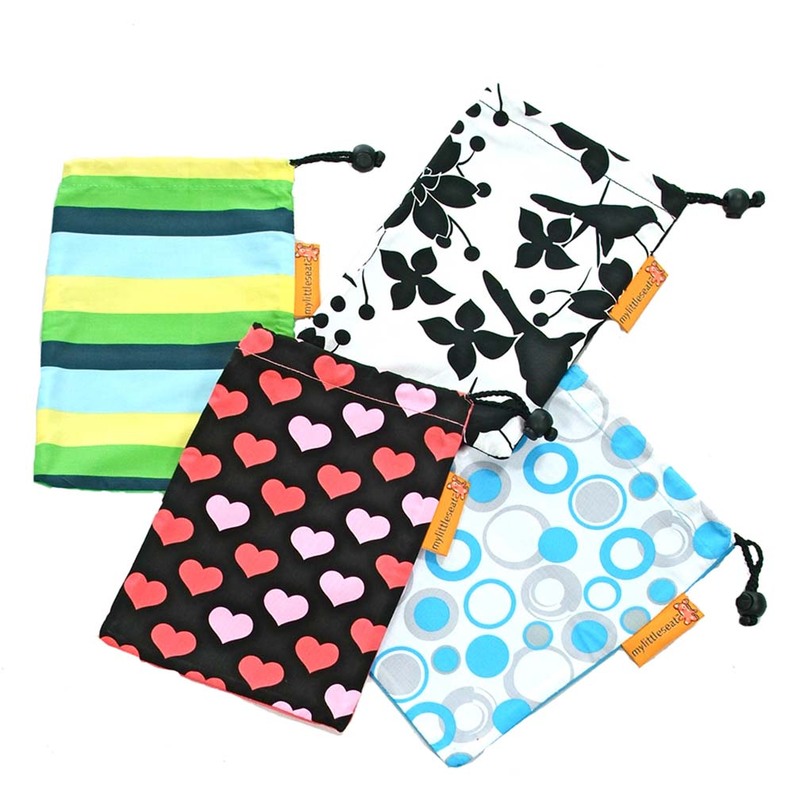 All My Lovin' is a sweet pattern of pink hearts on sturdy and machine washable fabric.